Not all handshakes go as planned. 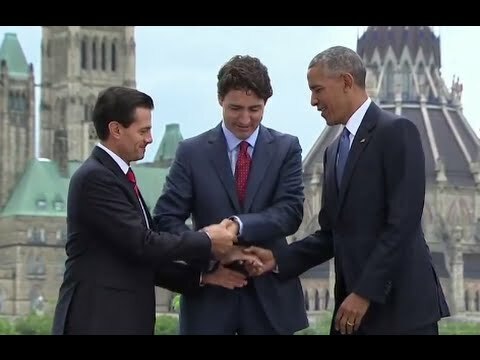 Take this somewhat awkward three-way shake between President Barack Obama and his counterparts from Canada and Mexico, Justin Trudeau and Enrique Peña Nieto. The trio shared the special moment during a meeting of the Three Amigos summit in Ottawa on Wednesday in which the leaders discussed trade and the economy.